"Mythical Crysticals" or "Why Crystals are So Awesome"
File this post under my constant quest to rise above the constraints of my perception of time and space. 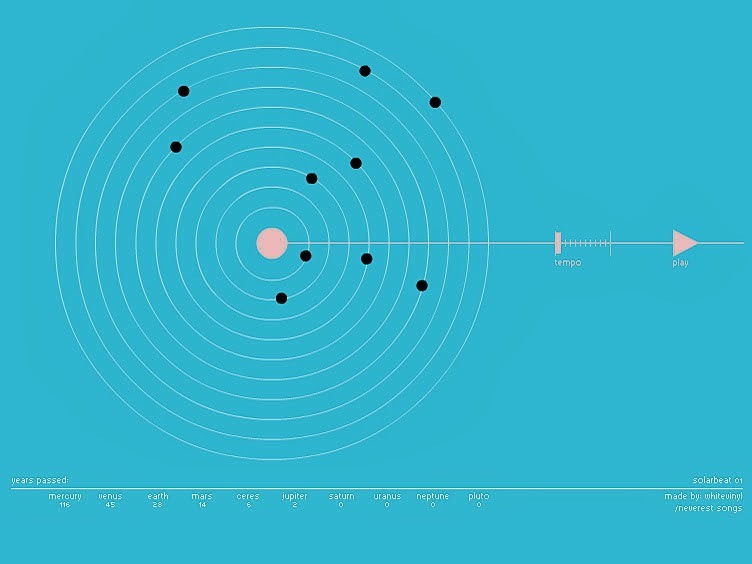 The people at whitevinyldesign.com made this awesome little animation thing of the eight "classical planets" plus the "pluton" (formerly known as a planet) pluto and the "dwarf planet" (formerly known as an asteroid) ceres orbiting around the sun. You can speed them up and slow them down and listen to their 10 unique tones. I seriously spaced out for 10 solid minutes while watching this thing, I encourage you to do the same. Isn't it cool how the innermost planets move soooooooo much faster than the outermost planets? Makes me think of how a penny circles faster and faster around the central axis of one of those spiral wishing wells as it gets closer to the center. Conceptually identical.